Jalandhar: Going ahead with yet another corporate social responsibility (CSR), Lovely Professional University is going to organize two-week camp for school children, where they would be asked to explore their hidden talents. University’s Division of Student Affairs has designed more than 50 special activities in this context. The 14 day program from 17th to 29th June, 2013 will include exciting sessions on Communication Skills, Recreational Sports, Kitchen Preparations, Dinning Etiquettes, Interior Designing, Art-Craft, Dance, Music and allied skills. These sessions will help students for their overall personality development and valuable learning experience. The camp-students will be enrolled in two age groups (from 8-14 years and 14 years & above) and get introduced everyday to new activity or skill set. The young campers will not only be visiting the largest university of the country in so early of their age, but they will also come out with the best in them to ascertain their future course. In fact, through well-balanced educational and recreational endeavours, camp will provide students opportunities to reinforce understanding and improve upon organisational and behavioural skills. Experiencing camp’s broad program chalked out to meet school-students’ needs and interests, they will also improve their academic and sports skills, broaden their experiences, develop friendships, and explore new hobbies in just two weeks. Most important, they will come out with a better understanding of themselves. 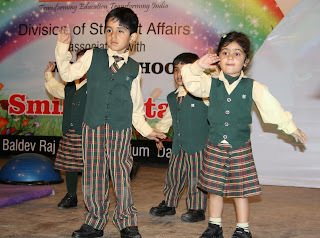 Activities will include verbal enhancement, role plays, confidence building, best made out of junk, table-top designing, table manners, sandwich making, salad dressing, mock-tail recipes, sketching, painting, dances- free style, bolly-wood, western, contemporary, semi-classical, basic singing and recreational sports etc. University’s transport, for pick & drop service from key-spots of Jalandhar and Phagwara Bus-Stand, will also be available for camp-attendees. University’s certificates of participation will also be given to all the camp participants on the last day of the camp. For further clarifications and needed details parents/guardians or students themselves may have a sight on website www.lpu.in or contact on mobile nos: 9501110419 & 8699169289.